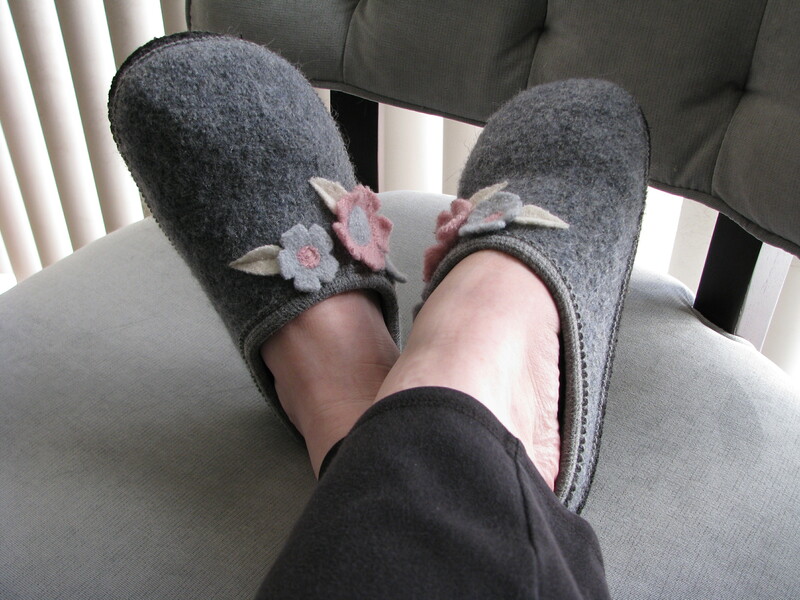 I hadn't seen any slippers I'd liked in months of idly looking around while we were out and about. Then in one issue of this catalog, I saw several that I would happily wear. The ability to find something fun and different is exactly why I don't automatically trash all the fun catalogs that hit my mailbox during the holiday season. Typically, I flip through the paper catalog, then order online. I like avoiding the mobs of shoppers downtown, and the ability to more readily surprise someone with something they haven't seen before. As I sit here typing this post, I've been doing a quick tally in my head. And I can say that I purchased almost all my holiday gifts — except for a few foodie items from the Ferry plaza Farmers market — online. With the bulk of those purchases, from folks who put out catalogs. I blame my catalog shopping impulses on J. Crew. I am pretty sure they're the ones who got me hooked on it, back in high school. Now, if I can order it online or via a toll free # instead of traipsing out to purchase it, I do. Boden. Girly clothes that are casual, but nice enough to wear to work. Giant Robot. Pop culture toys and t-shirts. Anthropologie. More girlie clothes and interesting housewares. Pretty much all of my favorite pieces I wear to work are from here. CB2. Crate & Barrel's hipper and more affordable sibling. Lots of great housewares. MoMA Store. The Museum of Modern Art in NYC is a great source for all sorts of fun accessories, housewears and prints. DeYoung Museum shop. This is our local museum, and one of my favorite places for looking at (and taking home) jewelry. Dean and Deluca. I don't think I've ever made a trip to NYC — no matter how quick — without stopping by one of their shops. I use the catalog and online store to get my fix of their coffee and treats. Muji. I seek out these shops whenever I travel in Europe. Love their plain, non-branded housewares and stationary items. Think Geek. T-shirts, desk accessories, and technonerd items all in one place. This is how I got all my holiday shopping done well before the holidays, and without leaving my comfy chair. RAWR!